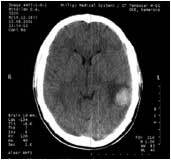 A male patient, 24 yrs old, diagnosed craniocerebral injury: brain contusion, intracerevral hematoma of 3x4 cm in the left occipitotemporal region. 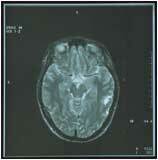 The patient was delivered to clinic after having undergone intensive conservative treatment at hospital. At the moment of arriving to SCENAR-centre, the parient’s condition was characterized as unsatisfactory. 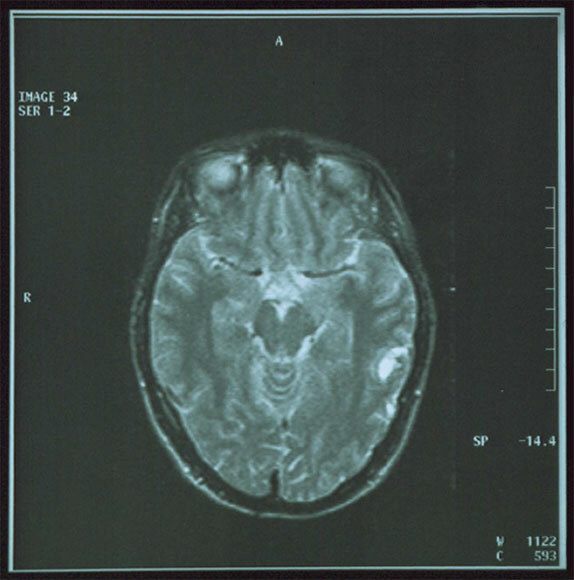 The patient was in inhibited condition, suffered from daily adrenovegetative crises, vertigo, intoxication at subfebrile values (37–38°C), light right-sided hemiparesis. By the third session the inhibiting effects and hemiparesis were eliminated, the temperature normalized, and the crises became less pronounced. By the tenth session no clinical characteristics of the disease were observed. 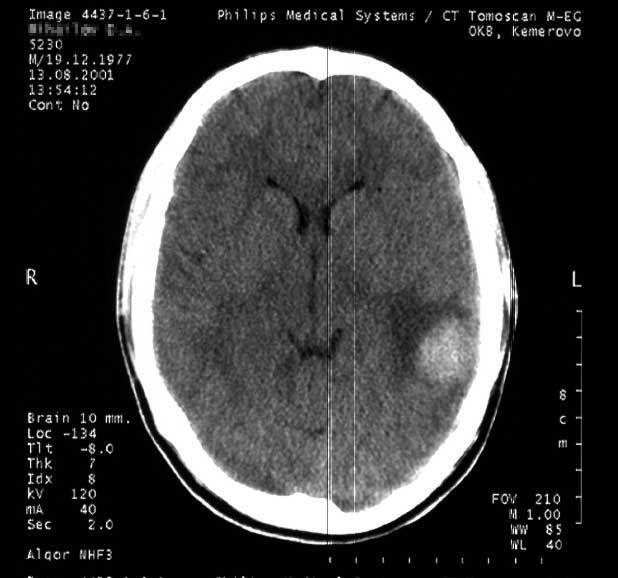 Control magnetic-resonance tomography showed the hematoma size decreased 4 times as less. Observation of the patient’s condition during a year did not show any complications, such as spasmodic syndrome or arachnoiditis. 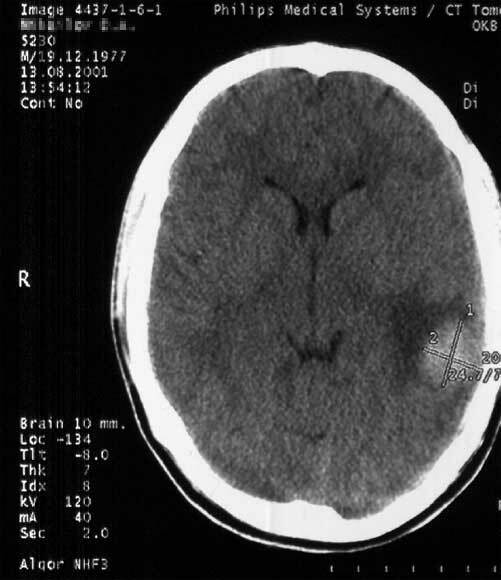 Compared with the pictures of September 6, 2001, the examination shows positive dynamics — formation of fluid cyst at the site of the intracerebral hematoma, described above. The cyst outline is clear of 1.8x1.4x0.4 cm. Perifocally regions of gliosis of cerebral tissue are observed. 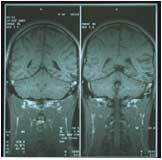 No signs of cyst in subarachnoid space. No other changes in the dynamics were observed. 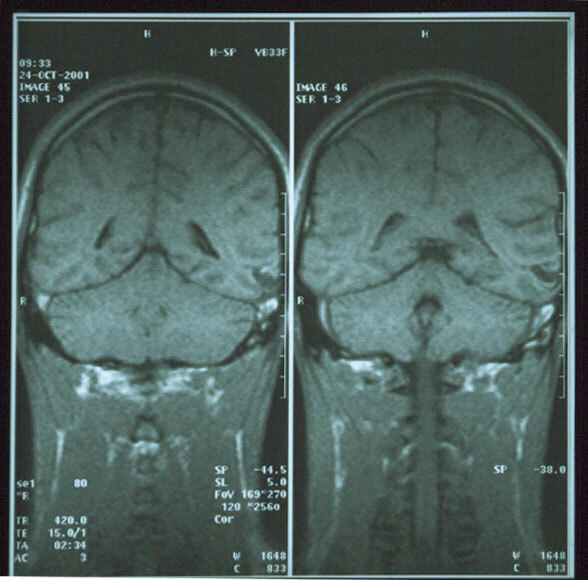 Conclusion: posttraumatic cyst of the temporooccipital region of the left cerebral hemisphere.